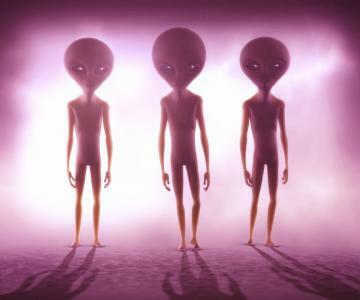 A recent poll finds 54% of Americans believe intelligent alien life exists out there somewhere. Even more specifically, about 65% of men believe so compared to 46% of women. By age, those 30 to 44Ys old are the most likely to believe, while those over 65Ys are the least likely. Even stranger perhaps, a National Geographic survey done 5Ys ago finds 77% of Americans think aliens have visited Earth. For bankers closer to home, there is a new alien reporting requirement about small business loans pending before the CFPB. If adopted, it could increase the workload of community banks and potentially lead to closer scrutiny of lending activities to women and minorities. What community banks need to know here is that the reporting requirement under consideration could ask for a breakout on lending to women- and minority-owned small businesses, as part of a larger set of questions about small business lending. While the purpose of this new reporting requirement is to monitor the overall state of small business lending by US banks, it would also provide a window into the availability of credit for women- and minority-owned businesses. Once collected, the latter information could be used to identify lending patterns that appear to restrict loans to these groups. If those lending patterns can be deemed discriminatory, banks could face the potential of regulatory actions, including fines and sanctions. No one is too sure how this rule will end up, but bankers would do well to follow the old maxim: an ounce of prevention is worth a pound of cure. In this case, community banks would be wise to review their small business lending practices to prevent potential fair lending problems down the road. To ensure that your lending practices are up to snuff, you might want to review how your data is collected and who collects it. The Center for Regulatory Intelligence says banks should make sure they understand who they are lending to and how those loans are determined. Banks should make sure they have strong and effective policies, procedures and training on fair lending. In addition, banks should develop an annual fair lending risk assessment that includes a thorough evaluation and understanding of the communities they serve and where lending dollars go. One way to start is to structure a fair lending program for small businesses that adopts guidelines used for fair lending in mortgages. Most likely, many banks are already doing something similar to this, but now may be a good time to review and validate your approach. In its 2016 Fair Lending Report, the CFPB said it planned to make small business lending a focus of its fair lending work in the future. If it comes to pass, this new reporting requirement could very well mean more work for community banks and would also open a new avenue for fair lending actions by the government. Regardless of the outcome of these plans, taking the time to check your small business lending practices for any gaps could avoid issues from creeping up down the road. A thorough review will help ensure nothing alien exists and give you time to make sure you are fully compliant. Yields ended flat with a total weekly drop of 14bp as investors were buffeted by the crosswinds of mixed economic data and global uncertainty. 1) First Community Bank ($913mm, SC) will acquire Cornerstone National Bank ($146mm, SC) for about $25.8mm in cash (30%) and stock (70%) or roughly 1.39x tangible book. 2) Washington Federal ($14.9B, WA) will acquire Anchor Bank ($441mm, WA) for about $63.9mm in stock (100%) or about 1.0x tangible book. The National Association of Realtors reports sales of vacation homes tanked 22% last year to the lowest level in 3Ys. Higher prices and a shift in consumer behavior toward renting vs. buying led to the decline. A CreditCard.com survey finds 17% of people have used their credit cards to buy something that costs less than $5 vs. 11% who did so last year. Community bankers may find it interesting to note that research by John Burns Real Estate Consulting finds the cost for healthcare (includes employee and employer contributions and health expenses) for the average family of four has soared from about $9,000 in 2002 to $26,000 as of the end of 2016. Korn Ferry Hay Group research finds 63% of CEOs surveyed say they expect that within 5Ys, technology will be the greatest source of competitive advantage. While foreign countries still hold $5.94T in Treasuries or about 43% overall, that is down from the 56% level of 2008. As the world has stabilized following the crisis, investors have slowly reduced their holdings in safe US assets too. Guidant Financial research of small business owners finds the primary reasons cited as motivation for opening a business are: dissatisfaction with corporate America (37%), opportunity presented itself (30%), laid off (19%) and not ready to retire (9%). Reports by Wealth-X show there were 2,397 billionaires globally last year, a decline of 3.1% from 2015. The place seeing the biggest drop was Hong Kong, which lost 19% of its billionaires.